Mary Ann (Molly) Goodnight. Image available on the Internet and included in accordance with Title 17 U.S.C. Section 107. GOODNIGHT, MARY ANN DYER [MOLLY] (1839–1926). 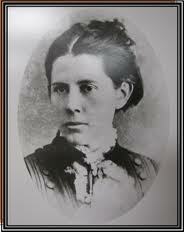 Mary Ann (Molly) Goodnight, wife of Texas rancher Charles Goodnight and daughter of Joel (or Joe) Henry and Susan Lynch (Miller) Dyer, was born in Madison County, Tennessee, on September 12, 1839. She was called Mary by her husband but known as Molly to others. The first lady of the Palo Duro Canyon was at one time the only woman on the vast JA Ranch established by Goodnight and John Adair in 1877. Enshrined in the minds and hearts of countless cowboys as the Mother of the Panhandle, Molly became doctor, nurse, homemaker, spiritual comforter, sister, and mother to the hands who worked for her husband. Such a diversity of responsibility would have proved difficult on any ranch in Texas, but Molly's home counted as one of its borders a solitary canyon 1,500 feet deep, 10 miles wide and almost 100 miles long, where once Comanche Indians roamed and camped. Mary Ann Dyer knew something about the hard, frontier existence of Texas even before she married and settled on the rim of the Palo Duro. She was fourteen years old when she was brought to Fort Belknap, Texas, in 1854 by her father and mother. Molly's father was a prominent lawyer in Tennessee before he settled his family in the Eastern Cross Timbers region of Texas. Sometime after 1854 her parents died, and Molly had to take care of her five brothers. In the late 1850s or early 1860s she worked as a schoolteacher to support her three youngest brothers. During the Civil War the elder Dyer brothers served in the Confederacy. Molly met Charles Goodnight at Fort Belknap about 1864. In the mid-to-late 1860s she moved to Weatherford, Texas, to teach. Molly and Charles Goodnight. Courtesy of the Charles Goodnight Historical Center. Image available on the Internet and included in accordance with Title 17 U.S.C. Section 107. On July 26, 1870 Molly and Charles were married in Hickman, Kentucky. They had no children. They settled down to ranching near Pueblo, Colorado, where Charles had already established a ranch. Three of Molly's brothers also worked on the ranch. One of them, Leigh, had one-fourth interest in the herds. For seven years the Goodnight-Dyer Cattle Company remained in Colorado. Molly thought Texas much more civilized than her new home. When two Coe men were hung on a telegraph pole, she was horrified. Charles did not know what to say in order to soothe his wife. He stammered, "Well, I don't think it hurt the telegraph pole." The Panic of 1873 and drought ultimately caused the Goodnights to move back to Texas. Charles received financial backing from John George Adair, who owned a large estate in Rothdair, Ireland. The two entered into a partnership. Mr. and Mrs. Adair, Charles Goodnight, Molly, Molly's brother Albert Dyer, and several cowhands moved a herd to the Palo Duro Canyon and put up a two-room cabin about May 1877. Mrs. Adair rode horseback while Molly drove a team and wagon. In a few weeks the Adairs left the enterprise to Charles and Molly. Through the years Molly established her place as wife and helpmate to the most famous rancher on the High Plains. Her first neighbor was the wife of T. S. Bugbee, and although neither saw anyone from six to twelve months, both claimed that they were happy. Molly's husband designed a special two-horned sidesaddle so that she could more easily ride on the ranch. Her immediate friends were the cowboys and a few curious Indians, and she kept as pets three chickens that a cowhand gave her. While Molly's life centered on the traditional chores of ranch life, however, her interests extended to protecting baby buffalo left to die after commercial hunters ravaged the Plains. Through rescuing and raising orphaned buffaloes Mrs. Goodnight helped establish the Goodnight buffalo herd, which became well known throughout the world. Some buffalo were also crossbred with range cattle to produce "Cattalo." Molly also had a separate herd, first in Colorado under her PATM brand and later in Texas under the Flying T brand. She commissioned artist J. C. Cowles to paint the scenes around their ranch, including the home and Palo Duro Canyon. In 1887 the Goodnights moved to northeast Armstrong County. After the Panhandle became more thickly populated, churches, schools, and other organizations found Molly willing to help philanthropically. She helped establish Goodnight College in 1898. The small railhead town of Goodnight and a church there were named for the ranching couple. Molly died in April 1926. An inscription on her headstone reads: "One who spent her whole life in the service of others." Her presence is felt in the tales left behind, in the cultural life of the Panhandle, and in the memory of cowboys who rode the steep red cliffs of the canyon where Molly faithfully served her husband and all others who passed her way. Ann Fears Crawford and Crystal Sasse Ragsdale, Women in Texas (Burnet, Texas: Eakin Press, 1982). Charles Goodnight Papers, Dolph Briscoe Center for American History, University of Texas at Austin. J. Evetts Haley, Charles Goodnight (Norman: University of Oklahoma Press, 1949). Vertical Files, Dolph Briscoe Center for American History, University of Texas at Austin. Phebe Kerrick Warner, "The Wife of a Pioneer Ranchman," Cattleman, March 1921. Handbook of Texas Online, Joyce Gibson Roach, "GOODNIGHT, MARY ANN DYER [MOLLY]," accessed April 20, 2019, http://www.tshaonline.org/handbook/online/articles/fgo35. Uploaded on June 15, 2010. Modified on June 27, 2016. Published by the Texas State Historical Association.